Your next vacation could include a flight in this fun looking personal drone. Called the "Hexa" this 18 rotor drone aircraft is designed and built by the Lift Aircraft company who hopes to start flying these machines near tourist locations around the United States. 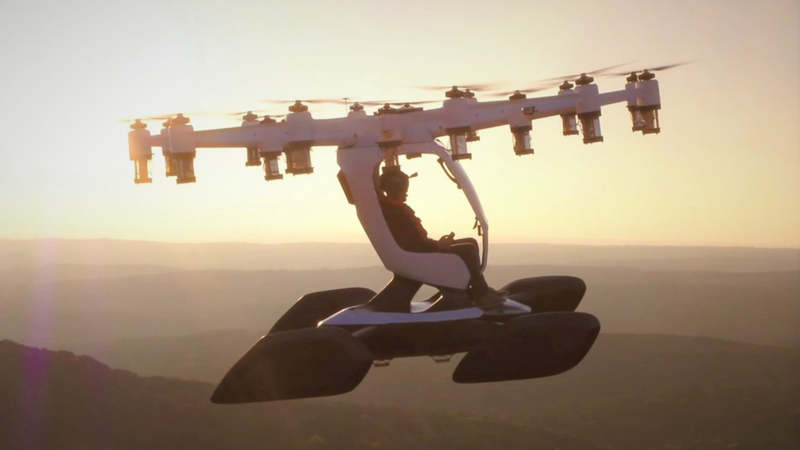 Lift has stated the aircraft is unable to fly over populated areas, and no higher than a few hundred feet due to federal aviation regulations so don't expect to take this from home to work anytime soon, but it would still make a fun activity for your next vacation. The Hexa has 18 individual rotor motors, can fly for 10 to 15 minutes at a time while carrying a single passenger. Lift states they plan on charging between $150 - $200 per flight. Customers would have to go through a complete VR training experience to learn how to properly fly the craft, along with being over the age of 18 and no heavier than 250lbs. In the event of an emergency the Hexa can fly on only 12 functioning motors and features large pontoons on the bottom or water landings, and a parachute system to safely bring the aircraft back to earth if need be. Currently, Lift is working on securing locations for the Hexa to fly, but look out in the near future while your sitting on that beautiful white sandy beach, you might spot a Hexa flying overhead.